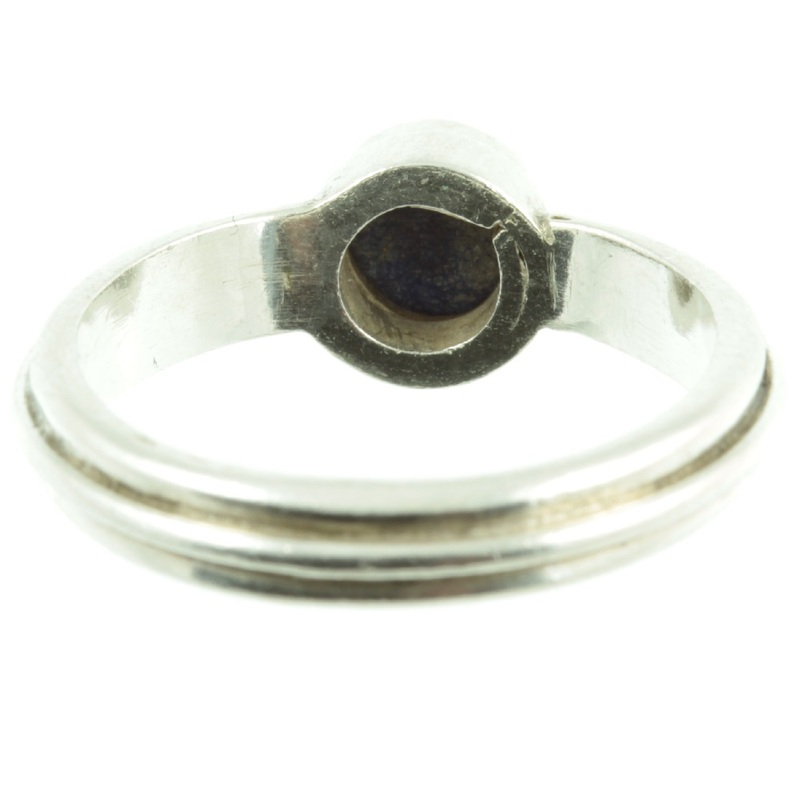 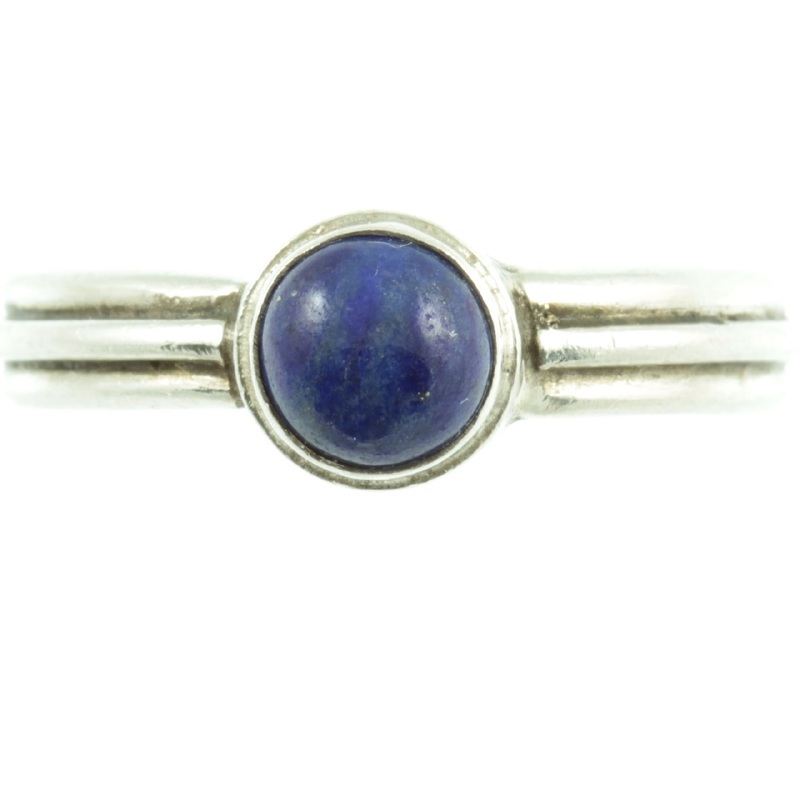 A pretty lapis lazuli & silver ring. 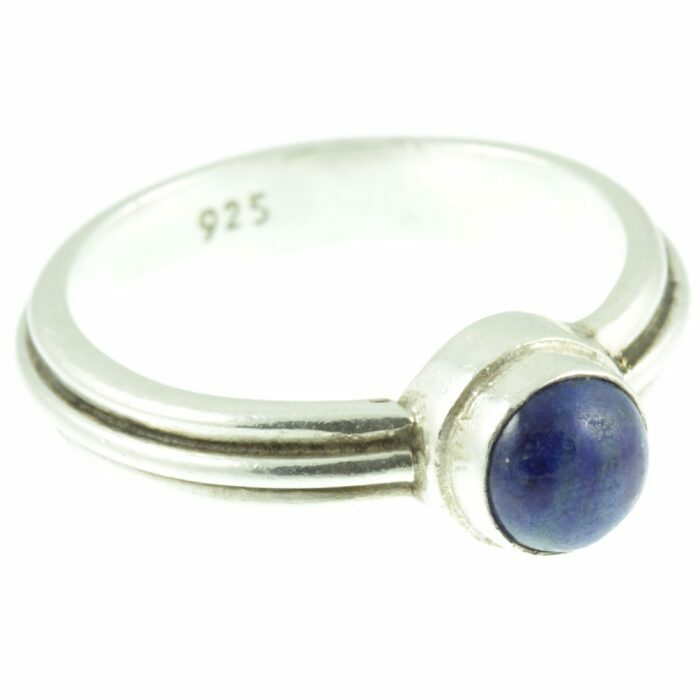 A round cabochon Lapis Lazuli gemstone weighing one carat has been mounted in sterling silver using a rub over setting. 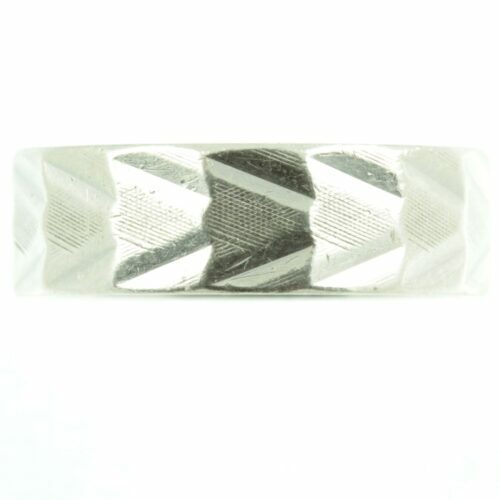 The band features a raised sterling silver wire set in the middle of the band, which adds a depth to the ring as well as being decorative. 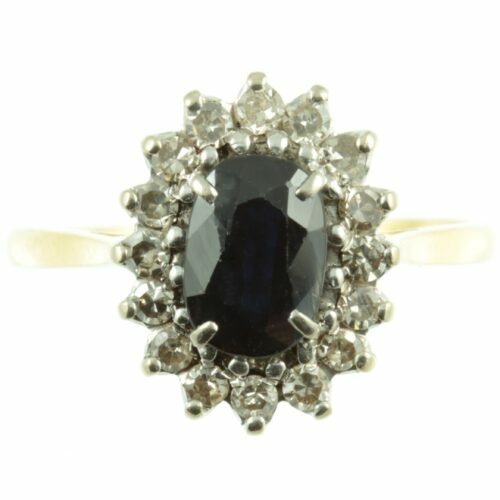 A beautiful example of 1950s artisan craftsmanship. 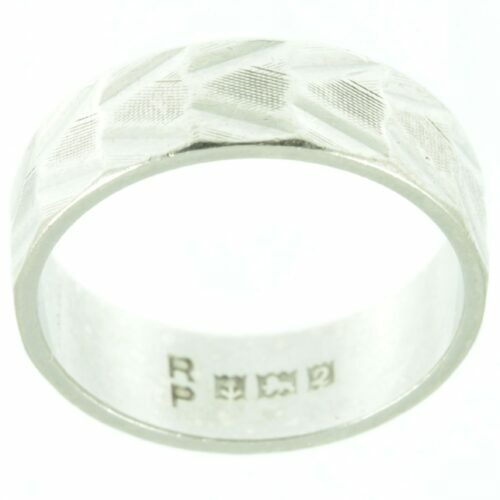 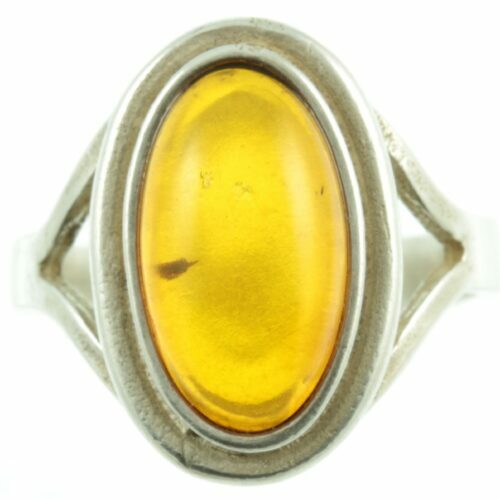 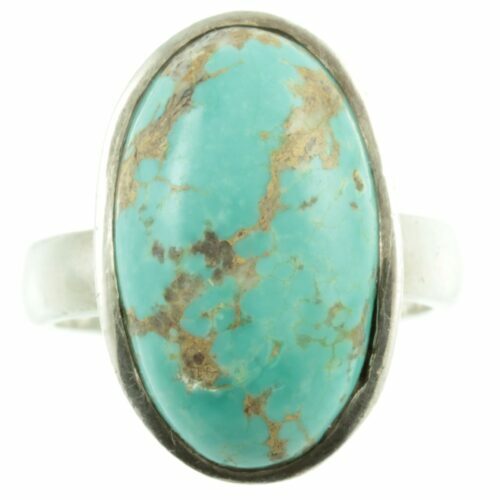 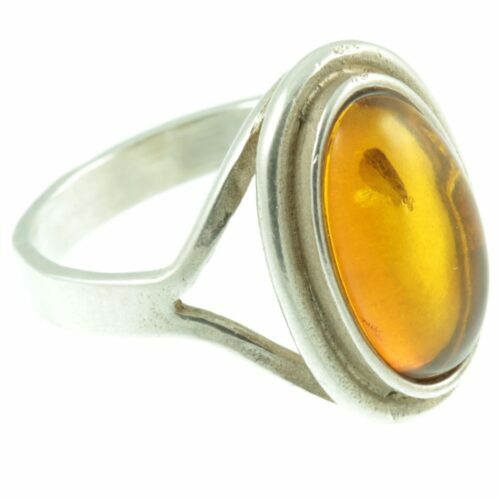 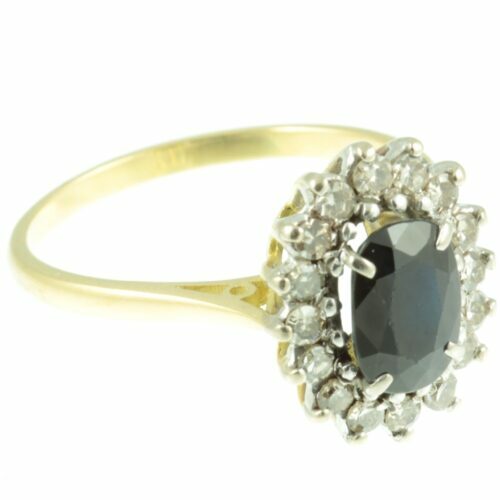 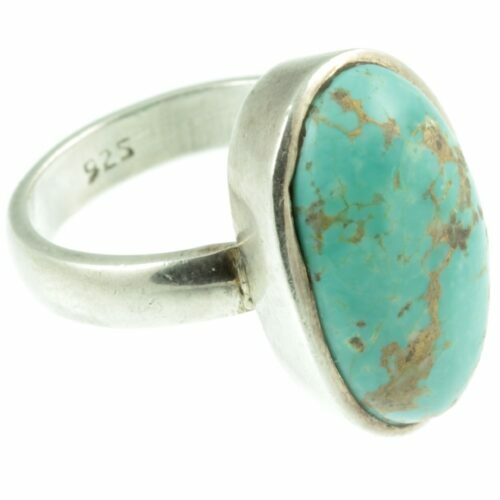 Ring size: UK size P, US size 7.25, width 7 mm, weight 4.1g, this ring can be re-sized ( free of charge ) up one size only but cannot be re-sized down due to its design.